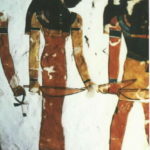 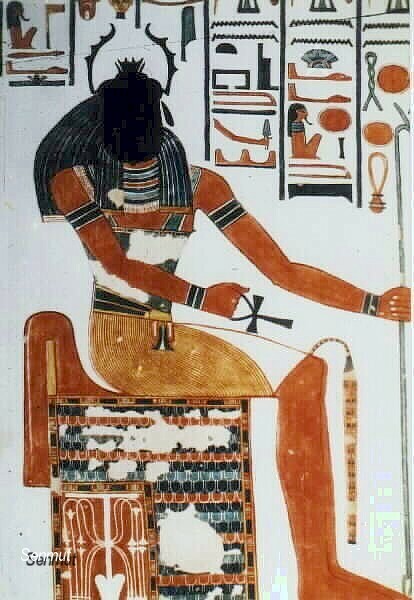 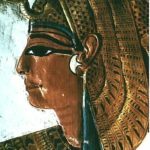 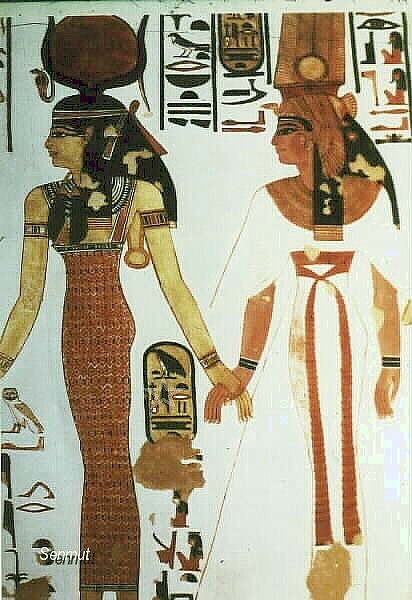 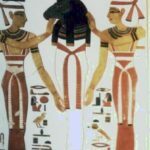 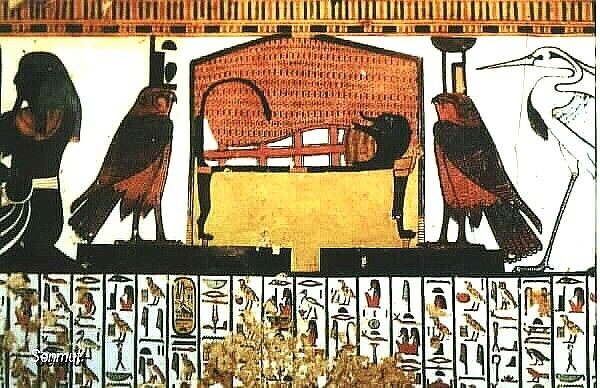 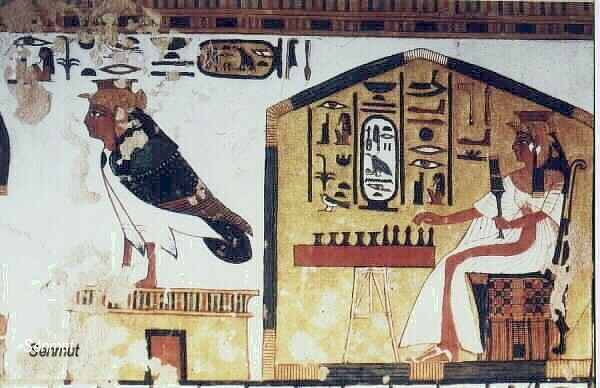 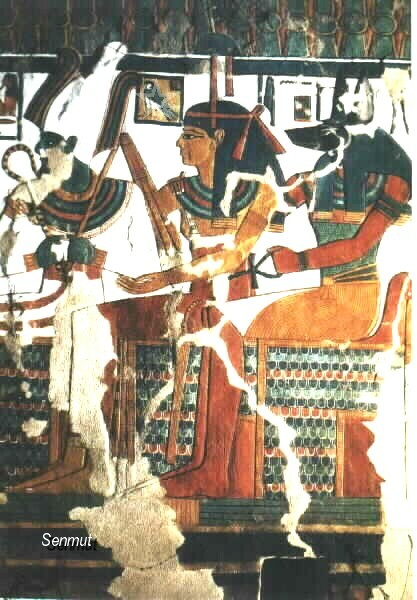 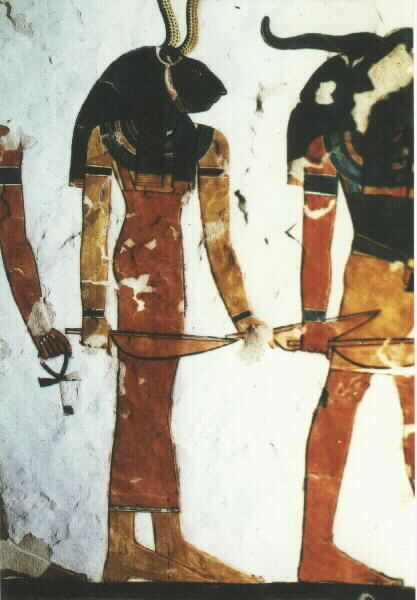 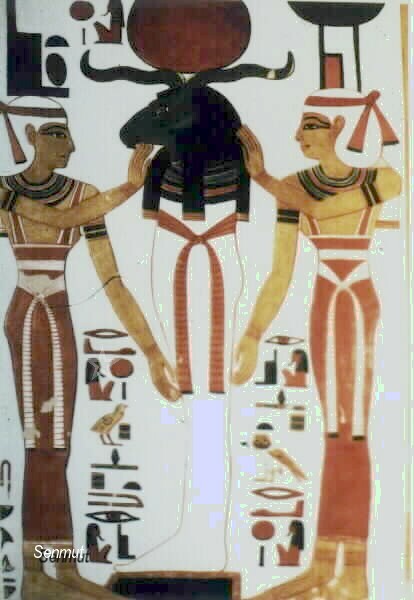 Nefertari was married to Ramses II, and held several titles: “Great Royal wife”, “Mistress of the Two Lands”, “Kings mother”, all indicating she was the important one, the number One and the mother of the hereditary prince Amunherkhepsef. 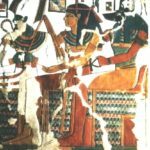 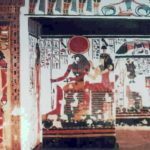 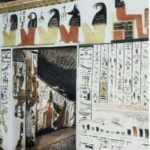 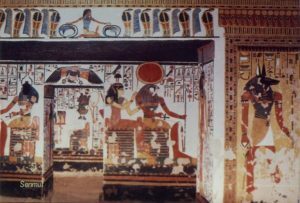 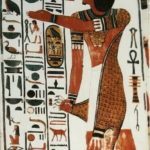 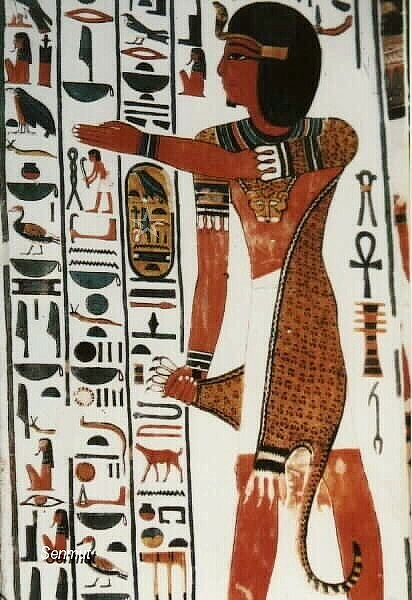 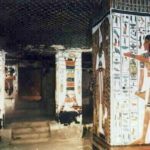 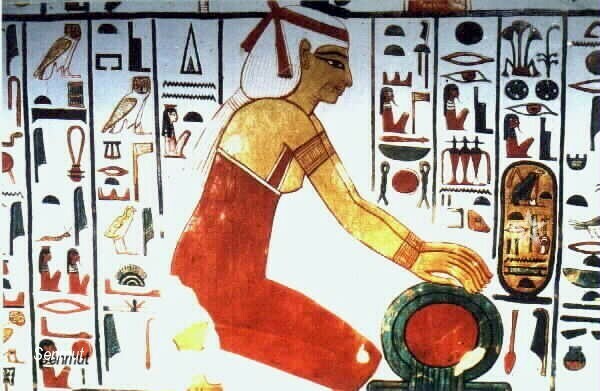 Nefertari, wife of Ramses II, “hmt nswt wrt” and “nbt tawy”, Great Royal wife and Mistress of the Two Lands has her tomb in the central part of the valley almost next to her mother-in-law, mut Tuyu, wife of Seti I and mother of Ramses II. 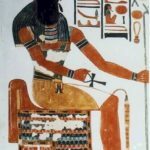 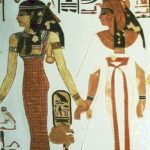 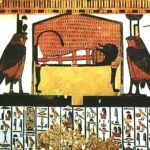 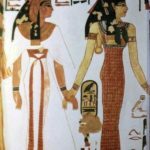 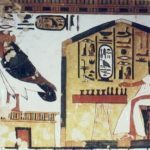 She was the favorite of Ramses II, and although he married several of his daughters, also bearing the title of Great Royal wife, this can have occurred only after the death of Nefertari. 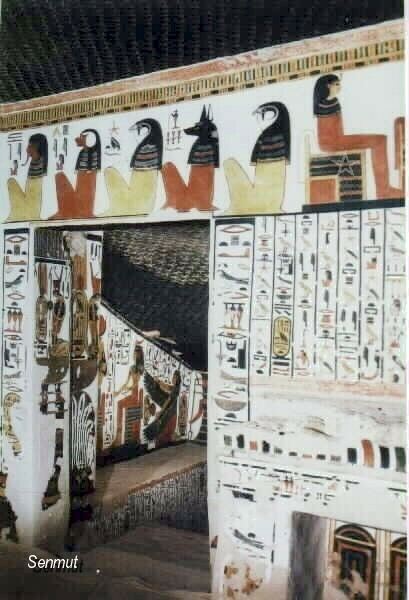 The tomb discovered by Schiaparelli in 1904, who found the tomb in total disorder and robbed. Peculiar fact was that the lid of the sarcophagus was found in pieces, but the sarcophagus itself was vanished. 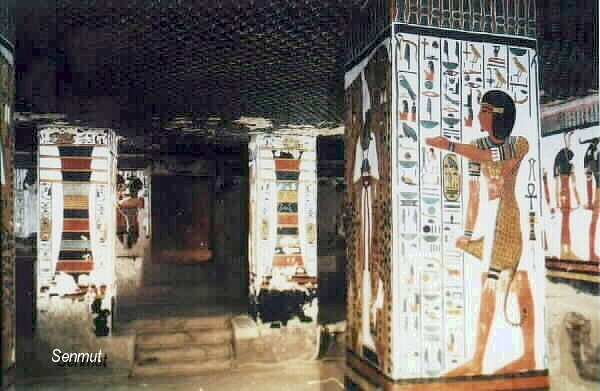 The tomb suffered even more because of the salt crystallization between the stucco and the rock. Eventually it was the Getty Conservation Institute who saved and restored the tomb. 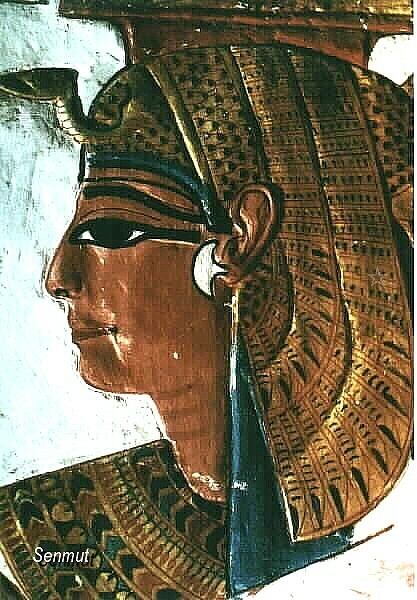 About her origin is not much known and a lot of speculations since the discovery of the tomb by Schiaparelli in 1904. 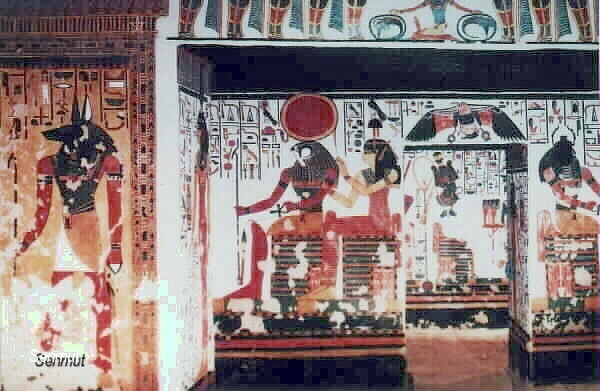 The tomb was in total disorder and disaster. 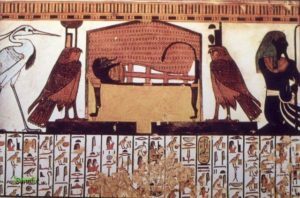 The lid of the sarcophagus was in pieces, while the sarcophagus itself vanished. 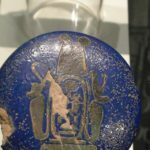 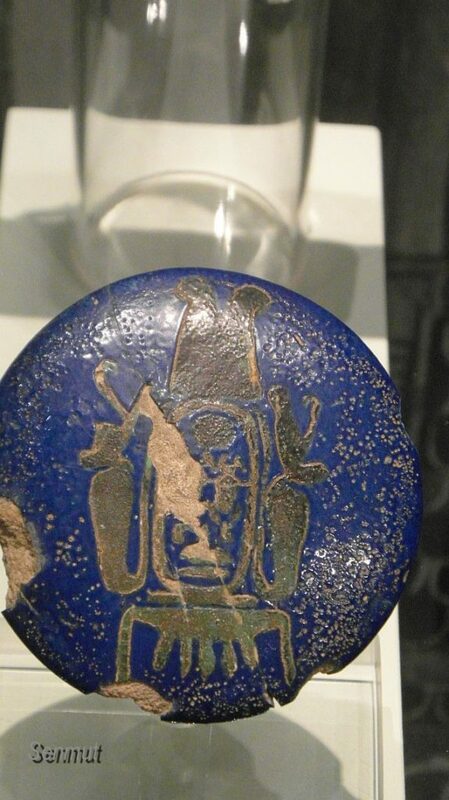 Among the finds was a blue round disk bearing the name of Eye, enhances the speculations of family ties with the last King of the 18th dynasty. 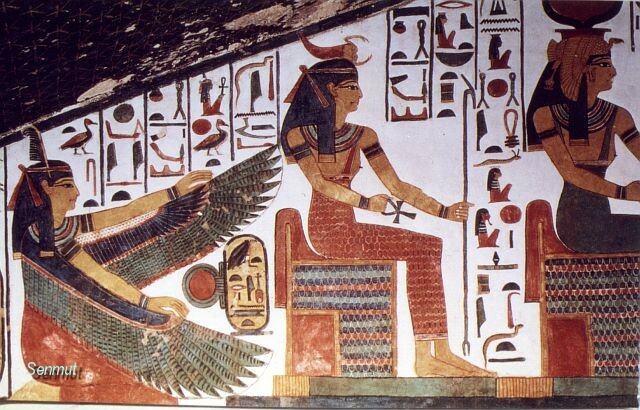 Also the title “Hereditary noblewoman” indicates she had royal ties. 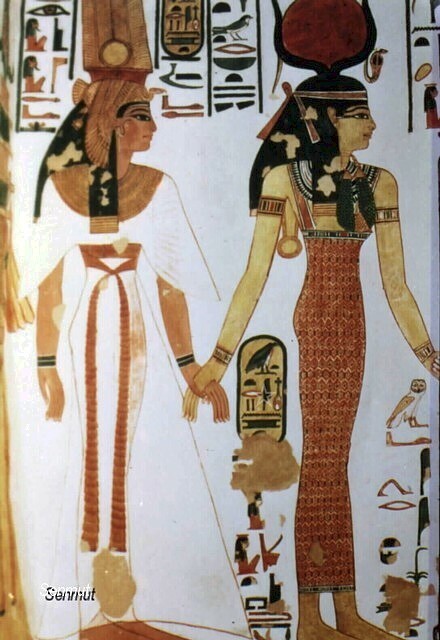 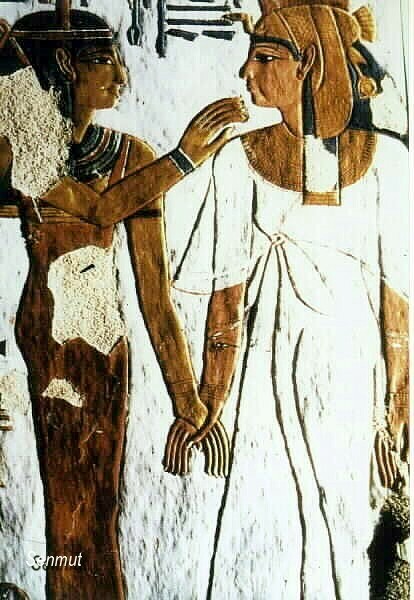 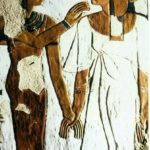 She married Ramses at very young age, probably at the age of thirteen and she bore him at least 6 children, among them Henuttawy and Merit-amen, both hold the title of “Great Royal wife”, marrying their father, but this only would indicate that Nefertari herself has died. 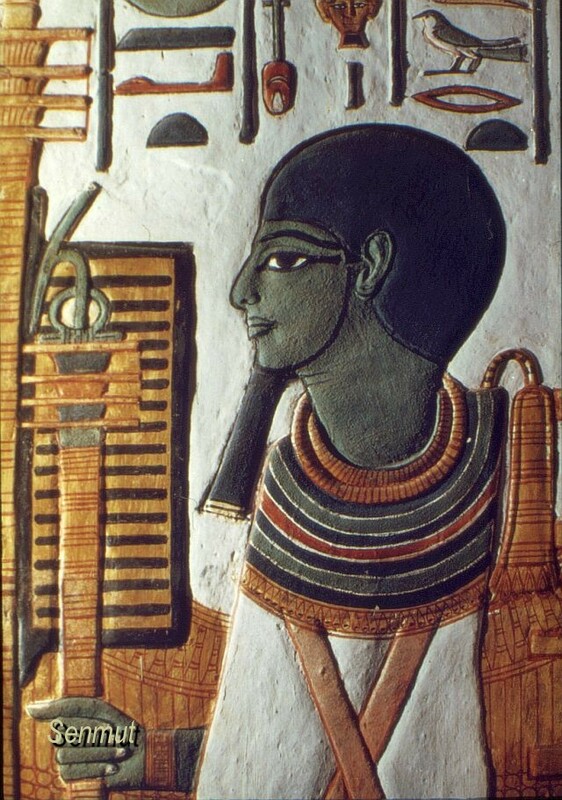 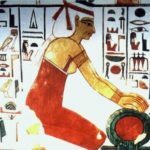 The last record is in year 25 of Ramses II, and none of her children succeeded to the thrown. 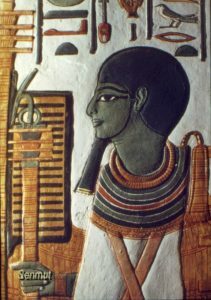 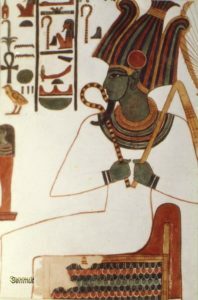 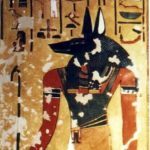 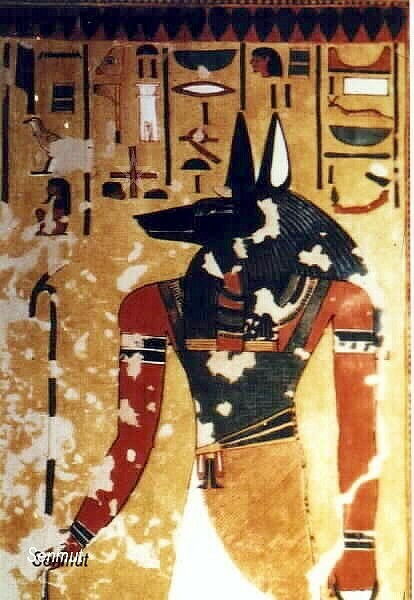 It was Mery-en-Ptah, the 13th son of Ramses II and a secondary wife Isis-nefert, who succeeded the thrown at the age of almost 55.